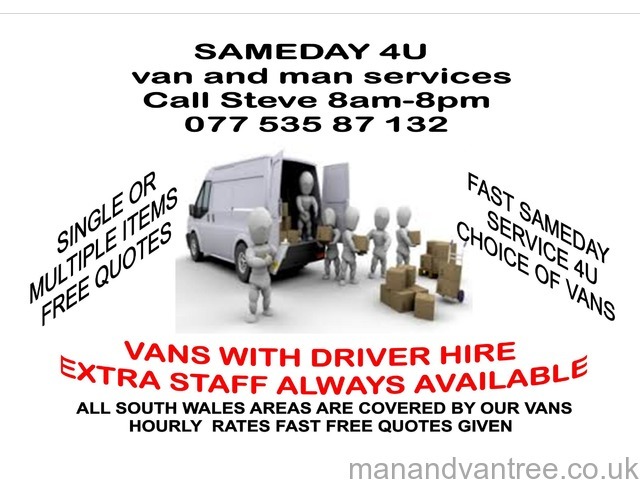 We at van and man supply a suitable van with driver, who helps to load and unload your goods, from single item to a full load we do house removals and also have other vehicles ( tipper trucks) for house clearance and waste collection if required. 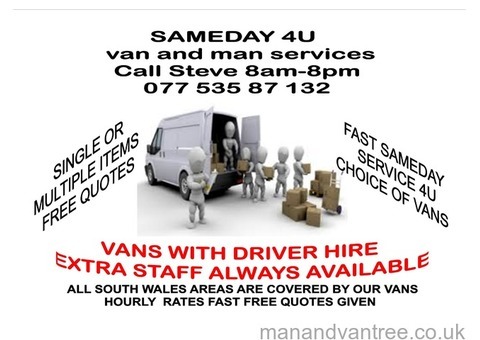 Bridgend Cardiff Swansea and all surrounding areas, suitable for single/multiple items fast service with all transport carrying removal blankets and tie down straps. 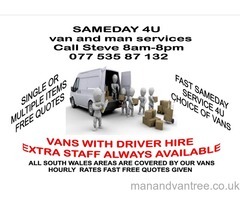 house removals, single item, multiple items, ebay, scpock, store collection etc.